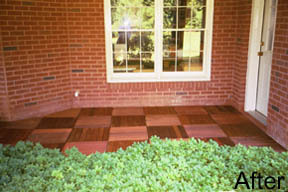 This deck tile system uses prebored durable hardwood tiles and a plastic connection system called ICONNECT. 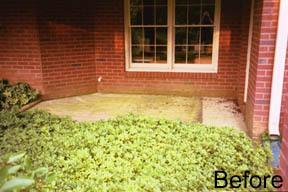 Using this system allows you to create a wooden deck on any solid well drained surface. The tiles are made of naturally durable hardwoods assembled with stainless steel screws. The ICONNECT are made of a durable plastic material that can easily be cut to allow for different types of connections. The system is easy and quick, a product that can be used by both professional or “do-it-yourselfer”. We provide the tiles and the ICONNECT to make your decking project complete. Check related items below for a link to the ICONNECT items.